Given by WWRD United Kingdom Ltd. 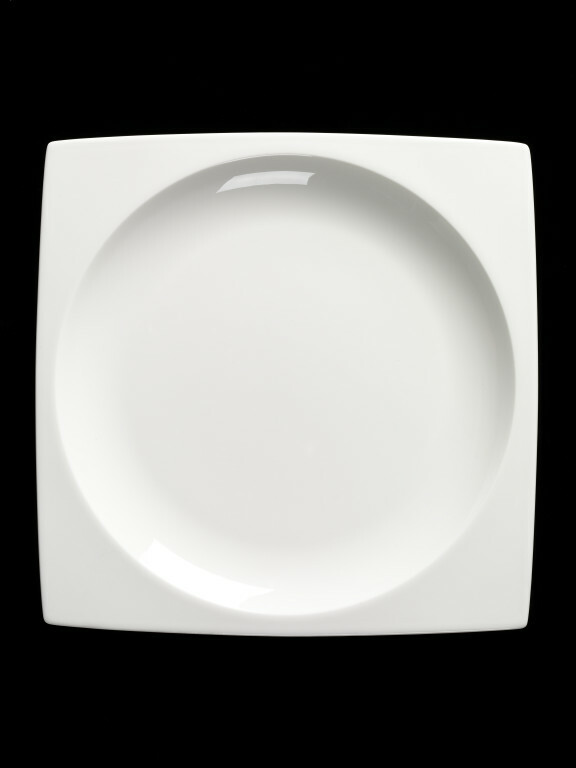 Technological developments since the 1980s have radically changed tableware production. Isostatic pressing, in which granulate clay is moulded under pressure, is now widely used for large production runs of flat or open wares, such as plates and bowls. High-pressure casting, in which slip (liquid clay) is cast between polymer moulds, can be used for smaller runs. Neither is restricted to making circular shapes. Both are fully automated, fast and precise and result in very few 'seconds' or imperfect wares. 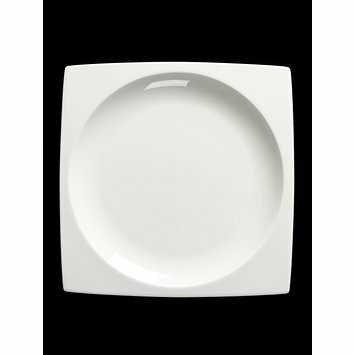 The tablewares in the 'Plato' range were made using various traditional and modern methods: isostatic pressing (plates and saucer), high-pressure casting (rectangular platter), jiggering (bowls and cup) and slip-casting (tea-wares and cup handle). Undecorated white bone china. Made by isostatic pressing. Wedwood trademark of a 'W' framing a vase, below which 'WEDGWOOD [registered trademark symbol of a circled 'R'], and 'PLATO / FINE ENGLISH BONE CHINA / [copyright symbol of a circled 'C'] WEDGWOOD', the complete mark printed in black on the base. Plate, large, square, bone china, 'Plato' tableware, designed by Martin Hunt for Queensberry Hunt, 2004, made by Josiah Wedgwood & Sons, Barlaston, 2007.